Mike Shinoda of Linkin Park announces his European tour dates for March 2019, following a widely acclaimed North American headline run on the Monster Energy Outbreak Tour. Tickets for the upcoming European tour go on sale starting Friday, November 30th at 10AM CET at mikeshinoda.com , with special pre-sale for Linkin Park Underground (LPU) starting Tuesday, November 27th at 10AM CET. Tickets for the Budapest show are on-sale from November 30th 10AM via www.livenation.hu and www.funcode.hu. A pre-sale opportunity is also available for registered Live Nation members from Wednesday, November 28that 10AM CET. Earlier this year, Shinoda released his raw and inspiring solo album, Post Traumatic via Warner Bros. Records. The album received widespread critical acclaim and garnered a slew of positive reviews and profiles in The New York Times, Rolling Stone, Time, Forbes, GQ, People, Newsweek, Entertainment Weekly, LA Times and more. Mike Shinoda is a songwriter, performer, record producer, film composer and visual artist. He is best known as co-lead vocalist for multi-platinum Grammy-Award winning rock band, Linkin Park, which has sold over 55 million albums worldwide and commanded a massive fan following, holding the title as the most-liked band on Facebook and amassing over 5.5 billion YouTube views. Shinoda is a founding member of the group, which achieved the best-selling debut of this century with their Diamond-certified album, Hybrid Theory, selling over 10 million copies in the US alone. Collectively, they sold out stadiums around the globe and earned a multitude of accolades including 2 Grammy Awards, 5 American Music Awards, 4 MTV VMA Awards, 10 MTV Europe Music Awards, 3 World Music Awards, and most recently, “Rock Album of the Year” in 2018 for their seventh studio album, One More Light. In 2005, Shinoda launched his first solo project, Fort Minor, releasing The Rising Tied to critical acclaim, with the single “Where’d You Go,” which reached number 4 on the Billboard Hot 100 chart and accumulated nearly 10 million YouTube views to date. In the months since the passing of Linkin Park vocalist Chester Bennington, Shinoda has immersed himself in art as a way of processing his grief. 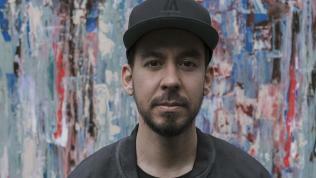 The result is his critically acclaimed full-length solo album, Post Traumatic, a transparent and intensely personal record that is accompanied by visuals that Shinoda filmed, painted and edited himself.